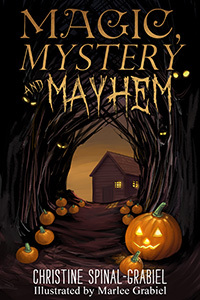 Jeremy was an ordinary boy… until he discovers a magical and mysterious pumpkin. Or does the pumpkin discover him? Halloween will never be the same since “Jack” has now become part of Jeremy’s family. Jeremy suddenly discovers he has power and strength to stand up to the bullies who torment him. Empowered by the family pumpkin, Jeremy and his little brother, Joey, find themselves traveling through space and time to places unknown and sometimes terrifying.